With your busy schedule, you don't have time to waste marinating delicious meats for a day or two before you head out to the grill — you need something that's going to get the job done fast. And that's where BBQ Bath comes in. Unlike marinades, brines work through osmosis, penetrating deep into your meat, making it juicy and tasty in as little as a half hour. Available in three flavors, you can choose apple chipotle BBQ, smoked habanero BBQ, or pineapple habanero jerk BBQ. All of them are a great way to tenderize steaks, chicken, and chops before you throw them on the grill, keeping them juicy and adding some incredible flavor. Perhaps the toughest thing about life is not having ready access to bacon — either you're away from the kitchen, or your favorite brunch spot, and you get a craving that you just can't satisfy. Now, you could always have a supply of bacon on-hand, but that's messy, and hardly practical. 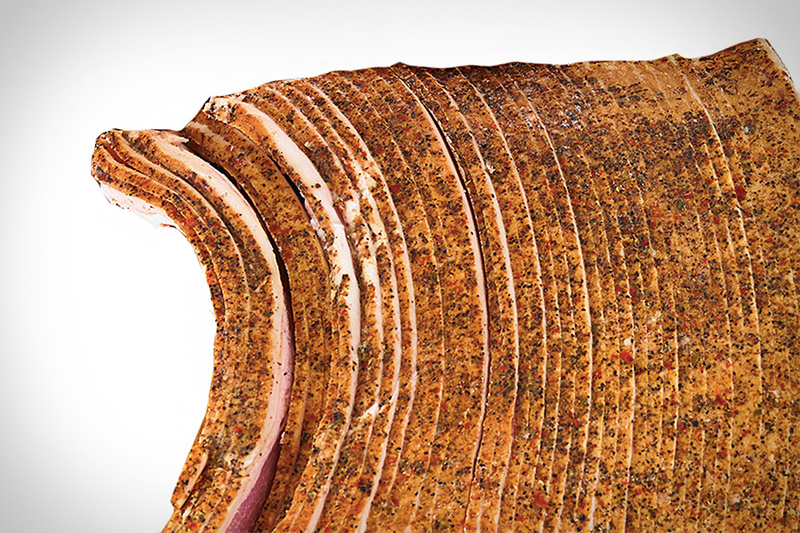 But with Go Bacon, you can have bacon at your fingertips, in the form of delicious bacon jerky. Held in a portable four-by-six-inch resealable package, Go Bacon fits perfectly in the pocket of your pants or jacket, so it can go anywhere you do. Each package contains one-and-a-half ounces of premium, jerkied bacon, available in either original or a spicy sriracha flavor. Bacon lovers, rejoice.